May 12 – 14, 2017: 3-Day Wilderness Herbal First Aid Certification in Prospect Park, BK, with instructor Sam Coffman of The Human Path. Hosted by Victoria Albina & Sabina Ibarrola. Why Wilderness Herbal First Aid? In traditional First Aid, your job is to stabilize someone in a crisis until help gets there. Wilderness First Aid training is all about doing what you have to, when help may *not* be on the way. Herbal first aid information is integrated into the curriculum every day in order to create a holistic model of remote or post-disaster care. The Wilderness First Aid 3-day certification course is a great place to start for anyone who wants to be much more medically self-sufficient…whether that’s being able to take care of your own family in a home emergency, backpacking, hiking or camping trips, living in a more rural area, being stranded in a remote location, or even to a natural disaster situation. Through a hands-on, interactive curriculum, you’ll gain the skills of of both a conventional 16-Hour Wilderness First Aid program (WFA) plus more than 8 hours of herbal first aid training. Attendees will be able to achieve certification in wilderness first aid through the national Emergency Care and Safety Institute (ECSI), which is created, endorsed and underwritten by the American Academy of Orthopedic Surgeons (AAOS) and American College of Emergency Physicians (ACEP). We will work mostly in Prospect Park, and/or a nearby classroom space in case of inclement weather. Sam Coffman is a renowned herbalist and former Green Beret Medic. Over the past 25 years, Sam has taught survival for military and civilian students, focused on post-disaster and remote-medicine using primarily (if not exclusively) plant medicine. He has worked as a clinical herbalist, specializing in bio-regional plant medicine for infection, injury and illness most commonly encountered in a post-disaster, remote or underserved environment when there is no higher definitive medical care. Sam is rarely in the Northeast, so we are so thrilled and honored to host him here and have the opportunity to learn with him! Right here! $275 includes 3 days of instruction, 2 textbooks, and cost of certification through the Emergency Care and Safety Institute. This kind of intensive can typically run thousands of dollars, so we’re very glad to be able to offer this opportunity to our communities at a reduced rate. – $75 non-refundable, non-transferable deposit to secure your spot due by April 26th. – Tuition includes two books, and all certification materials. Please note class times and hours. We know these are long days but this is an extraordinary chance to get this great in-depth level of training. Please pack a bag lunch and bring whatever foods/beverages you may need to keep you happy! Portions of the course will be outdoors; please dress accordingly. Hands-on training and practice is emphasized very strongly throughout this 3-day intensive. The certification testing for ECSI is both hands-on (done as teams) and a written test. 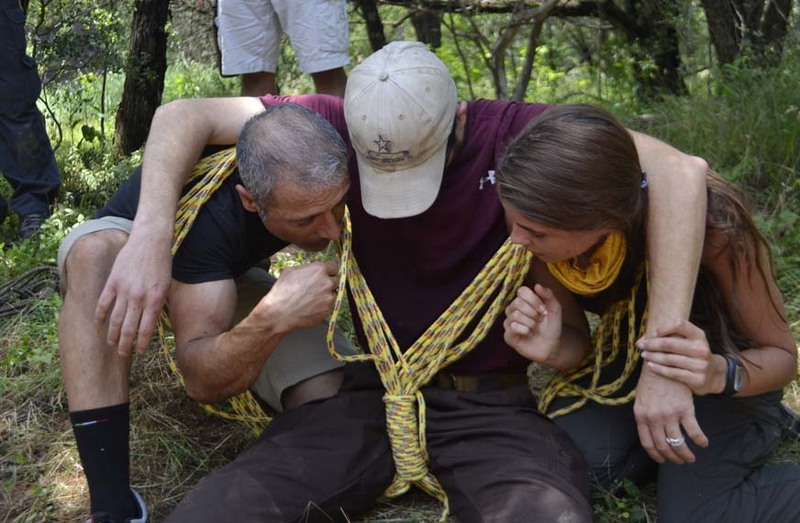 Wilderness first aid certification is provided by ECSI, which is created, endorsed and underwritten by the American Academy of Orthopedic Surgeons (AAOS) and American College of Emergency Physicians (ACEP). A national ECSI certification card is issued which is valid for 2 years.